You demanded Ring Wars Carolina returns and we are coming back with a Vengence! 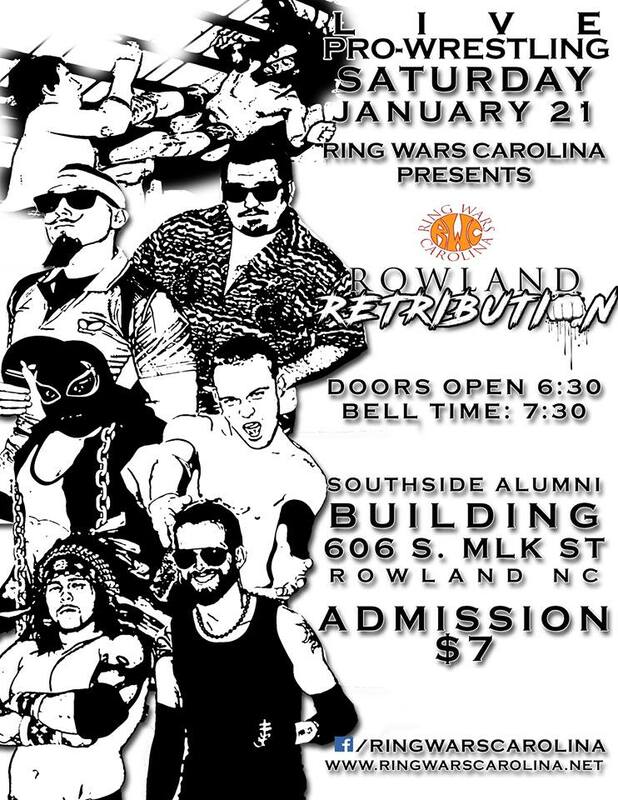 It's Rowland Retribution January 21! Ring Wars Carolina superstars return to Rowland NC! Come early for the autograph party! You never know who may stop by!